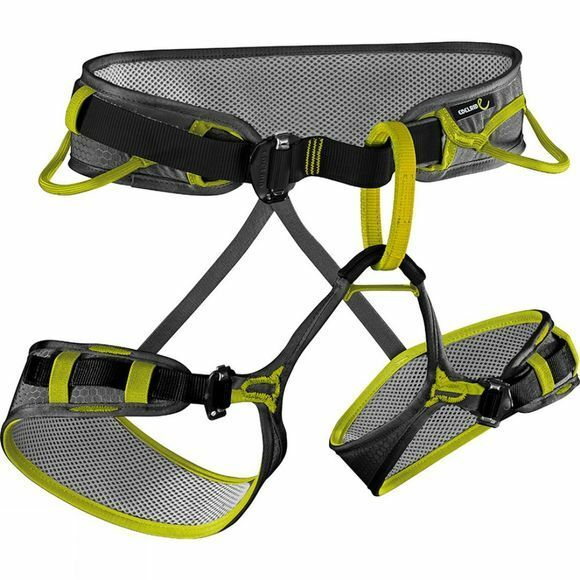 The Zack Adjustable Harness from Edelrid is a comfortable and fully adjustable harness that is suitable for all types of climbing. Whether you're an indoor wallflower or an outdoor spiderman type you'll be able to climb in confidence thanks to Edelrid. The moveable waist foam helps to ensure you have protection in all the right areas while the 3 Easy Glider buckles, one at the waist and one on each leg, are easy to use to ensure you get a secure and appropriate fit without a struggle to get in or out of the harness.